Fleet-related applications of IoT technology continue to proliferate. Here’s a quick guide to some of the top use cases of the technology. Among the multitudes of industries benefiting from IoT technology is fleet management. There are several reasons for this. For instance, strong wireless connectivity is an enabler of new possibilities of fleet tracking and management. In addition, there is growing interest from fleet owners in connected technology to boost efficiency and optimize processes is another driver. In addition, government mandates for transportation companies such as the ELD mandate in the United States are making IoT technology a default for many fleet owners. In addition, radio-frequency identification (RFID) technology, which has seen gradually increasing use in the past decades, is another enabling technology. RFID technology is available in the form of wireless microchips (‘tags’) attached to an object and emitting radio waves. These waves are caught by a reading device, i.e. a reader, which helps control and track products. Another longstanding technology, on-board diagnostics is deployed as a component of fleet-based IoT projects. A widely available version of the technology known as OBD II obtains information on vehicle maintenance and driving conditions through a device, plugged into a vehicle’s OBD II port, which is present in virtually any passenger vehicle produced since 1996. Once connected, the device reads data from a wide number of vehicle sensors including engine speed sensors, oxygen sensors, voltage sensors to name just a few. Depending on the device, it transmits various types of data about how the vehicle operates and whether it faces any engine-related problem. While on-board diagnostics has done for identifying vehicle problems, Global Positioning Systems (GPS) has transformed navigation. GPS links to the vehicle via trackers to obtain real-time information on routes. 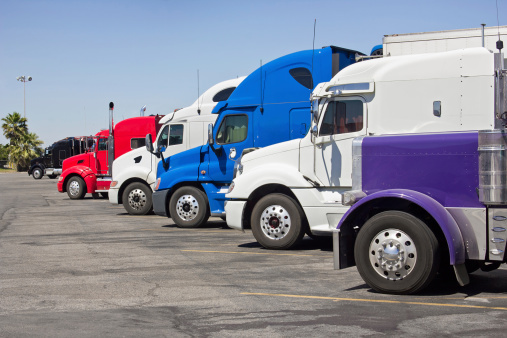 In addition to time-worn technologies such as RFID, OBD-II and GPS, there is an ever-expanding use of sensors and new connectivity technologies for fleet managers. As a sensor node can be attached to nearly anything in a vehicle that a manager wants to keep track of, nearly any type of data can be collected. Market fluctuations have a great impact on fuel prices, thus affecting the whole transportation industry. No wonder that fleet managers are constantly seeking new ways to optimize fuel consumption. One of the possible strategies to reduce fuel consumption is to use sensors to study a vehicle’s acceleration, braking, idling and other habits that influence fuel efficiency. The data from such applications can then be used to encourage more optimal driver behavior. Another solution comes courtesy from the HID Global identiFUEL system, which attaches RFID-enabled tags to a vehicle. Once a vehicle is identified by a reader installed into a fuel filling nozzle known as a nozzle unit, the reader collects the data on the vehicle’s unique ID and required fuel information and transmits it to the wireless controller. These elements, working as the front-end of the system, get in touch via the wireless controller with the fuel management system (FMS), which in its turn decides if and how much fuel is to dispense. To keep vehicles up and running, regular checks are needed. However, fleet control and maintenance, especially in cases when a fleet contains hundreds of vehicles, is a task which can hardly be handled manually. IoT solutions can help establish effective predictive maintenance practices. One of the successful examples of preventive analysis systems developed for the fleet is Predixion Insight from Intel. This platform receives data from sensors including tire pressure, hydraulics and other elements. After collecting such data, the on-vehicle gateway can either analyze it at the edge for immediate alerts or pass it to the cloud for longer-term analysis. Online shopping is changing a lot for the transportation industry, and IoT can contribute to this development. According to Inbound Logistics, with the use of cloud-based GPS and RFID technologies, fleet managers can automate shipping times to make sure products are delivered more efficiently and they have the right amount of vehicles on the road. They can even control the interior vehicle climate to ensure the products will arrive undamaged. New devices can do much more than simply tracking a parcel. For example, Parcelive, which provides a customer with a tracker screened and placed into the parcel. The tracker will report its location to the customer as well as information related to the delivery and safety — all in real time. This technology leverages embedded sensors to generate important data, especially about high-value, fragile and time or temperature-sensitive packages. Security on the road is no less a significant point of concern for fleet managers. The death toll in motor vehicle accidents reached 40,100 lives lost in 2017, with the related costs like medical expenses, wage and productivity losses and property damage estimated at $413.8 billion. IoT technologies can be used to mitigate risks and promote safety on the roads in many ways. Using the OBD II port of a vehicle to collect valuable data about drivers’ behavior and later coach them on how to make better decisions on the road in order to limit over-acceleration, seatbelt usage, sharp cornering and other high-risk maneuvers. There are, however, more specialized IoT devices for doing this, like the ones equipped with sensors detecting driver drowsiness. First of all, top car manufacturers like Mercedes and Volvo are developing built-in safety systems that monitor steering behavior and notify the driver once they detect changes from the baseline pattern. Also, there are external devices that can be fixed on a driver’s finger (Stopsleep), the wrist (Advice Drive) or in the seatback (Warden). They check the driver’s physical conditions during a ride and ring an alarm (usually via a mobile app) when the driver’s state is getting dangerous for continuing the trip. IoT technology can also be constantly checking the state of the vehicle to timely predict the vehicle breakdown and take the necessary measures. Another IoT-related strategy is to attaching sensors to the surroundings to gather and transmit data and then pass it further for alerting the driver about traffic congestions, changing weather conditions or other situations on the road which demand the driver’s particular attention. Recent advances in IoT allow software development firms to develop effective multi-level connected fleet management systems which will tackle the identified problems. Moreover, a perpetual reduction on prices of IoT devices and its components are making these systems affordable not only for big-name companies with huge budgets but also for their smaller competitors. Alex Makarevich is a content manager at R-Style Lab – a California-based custom software development company, with a development center in Belarus, Europe. To remain viable, brick-and-mortar retailers must experiment and redefine customer experience with technologies such as machine learning and the Internet of Things. But such transformation is not necessarily easy. IBM’s Al Opher shared his advice on IIoT projects during last week’s Industrial IoT World conference in Atlanta. Blockchain and IoT are converging. As a result, the transportation and logistics industry may never be the same. The chief executive officer of one of the biggest car rental companies in the world shares insights on the digital transformation of the car rental industry.